Another win by Seb would be a an uppercut to hamilton's ego. I hope that diffuser helps solve with seb's issues, the floor upgrade is at china supposedly but im so happy that it looks like we trying much harder this year than last year with in season development. Sebastian Vettel has given his estimate of how far @ScuderiaFerrari is off the pace of @MercedesAMGF1 in #F1 heading into the second race of the new season.....anywhere from 3 to 4 tenths over Ferrari -->Autosport. The central boat tail has gone back having a more well defined angular channel, similar as last year but not as pronounced. 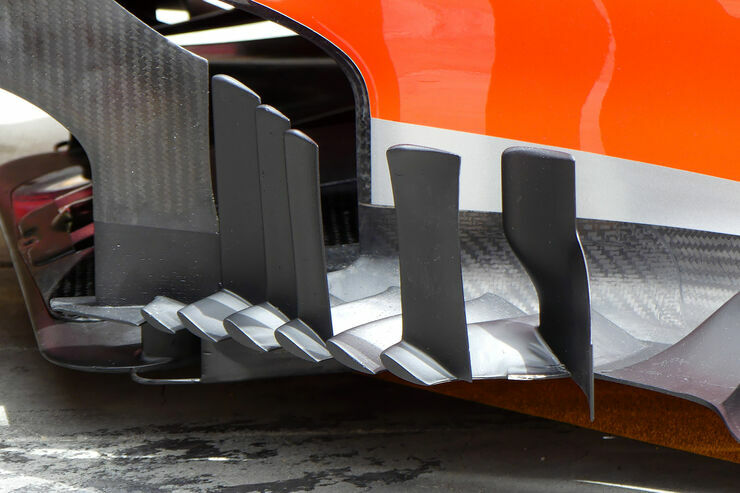 Gone is the flatter more rounded solution from late 2017 and all of 2018 to date, they also have included the winglet on the outer edge, that one was seen in FP1 in Melbourne. This new profile reduces the angle of attack of the central section, hopefully improving the stability of the flow with a slight reduction in total expansion, looks like they are trading a small amount of total downforce for more consistent stable downforce by keeping the central flow attached over more conditions. Let’s hope it works guys ! weren't we running the new floor already in FP1 and these are just spares incase of damage ? Negative buddy its all brand new, ready for FP2. They also said that some extra aero parts have arrived, but I dont know which parts. Was hoping for some pics of the new bits from practice on here, but theres nothing here. 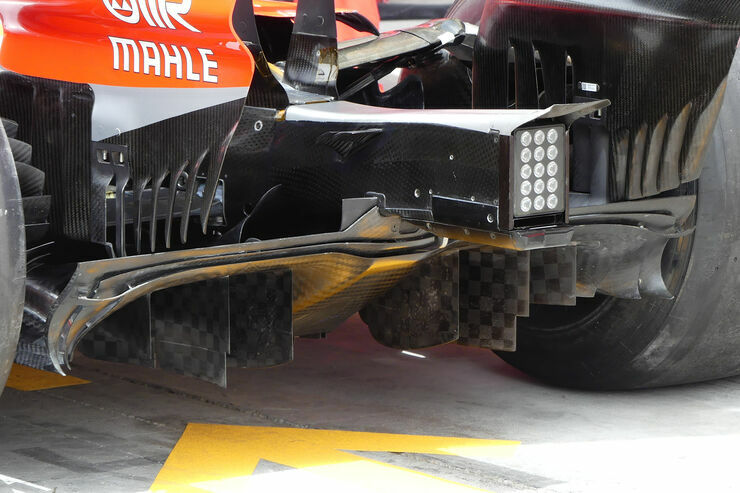 Did the new parts already work in FP2? Looks positive. Let's hope. It's time for #F1Testing! 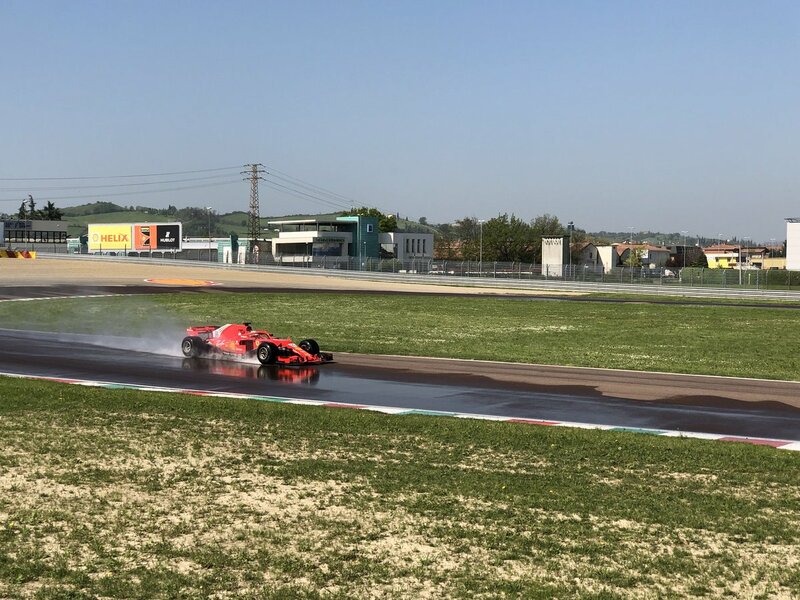 @Anto_Giovinazzi is at the wheel for @ScuderiaFerrari in the first 2018 #Fit4F1 wet tyre development test. Current weather conditions at #Fiorano circuit: sunny, 17° air / 17° track. Today's programme will focus on the development of Intermediate tyres. Mr. Torpedo out on the Fiorano track today....more testing like yesterday with GIO. Smell that, Niki? It's the scent of impending victory. 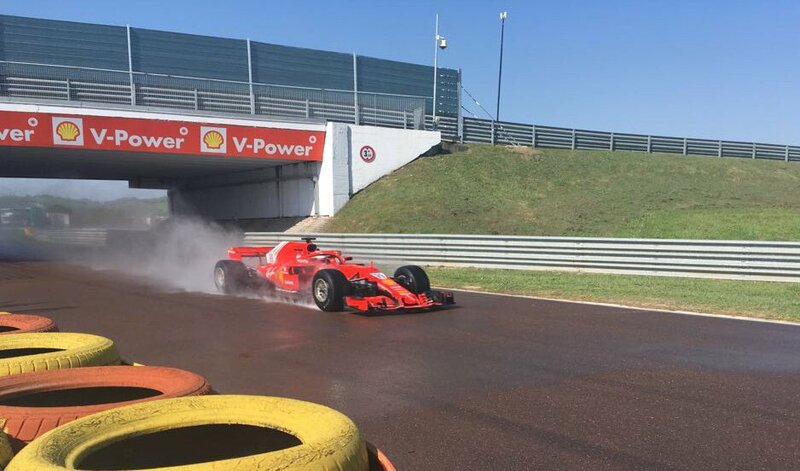 Anyone has some photos of Daniil Kvyat in action on Fiorano with the SF71-H today for the Pirelli Tyre Testing 2019? Did he crash into Seb? OMG that’s so funny ! Great !